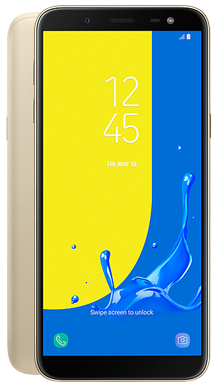 The Samsung Galaxy J6 is one of their 2018 offerings and is a smartphone that is packed with functionality as well as looking bang on trend, so appeals to many customers. Select your desired options to find the best Samsung Galaxy J6 deals for you. If you are looking for one of the biggest names in mobile phones, then Samsung is a clear choice. Over the last couple of decades, they have been at the cutting edge of mobile phone technology and have amassed a collection of handsets that showcase their work and are loved by a huge audience across the globe. They have earned their reputation by consistently offering amazing handsets that give their users exactly what they need at awesome prices. Every year they release more exciting handset to their fold, and the Galaxy series has always been one of their greatest triumphs. 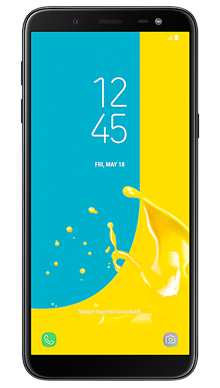 The Samsung Galaxy J6 is one of their 2018 offerings and is a smartphone that is packed with functionality as well as looking bang on trend, so appeals to many customers. This is a cracking handset that combines a demand for lower cost devices with features and usability. It makes a fantastic choice for many people looking to take advantage of the Samsung reputation while having a pay monthly deal that does not break the bank. The Samsung J6 follows the current trend for handsets that appear to be all screen. While there is a bezel around the front of this phone, it is subtle and understated. Side to side you have an almost infinity screen and the top and bottom bezels while wider does not detract from the screen. 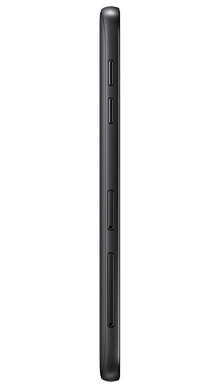 The top housing the front-facing camera and the bottom is intentionally blank. The overall design features gentle curves and fits neatly in the hand for ease of use. On the rear of the housing are the main camera, flash and fingerprint scanner. The screen is a neat 5.6 inch which means it has a nice size without being a phablet. In terms of display you get super AMOLED which we know is stunning and 720 x 1480 px resolution, 294 poi and an aspect ratio of 18.5:9 making this a great screen for streaming movies or playing games. This is a single speaker handset, and the audio performance is excellent for use in a quiet room or taking calls on the loudspeaker. This is one of the models that Samsung has chosen to leave the standard 3.5mm headphone jack in, which will appeal to many users who do not like the move to wireless. On the back of the handset, as previously mentioned, you find the single lens camera which is a really decent 13MP with LED flash ensuring you some really great quality images every time you snap. On the front, the selfie camera is 8MP which is perfect for recording your day. There is some decent Samsung technology built in that will support your photography skills and make sure that all your pictures are first rate. So, if we look under the hood, we find some more great Samsung wizardry supporting the Galaxy J6. In terms of chipset we have a Samsung Exynos 7 Octa 7870 with a Mali-T830 graphics card, and as you can tell from the chipset, this is Octa Core, 1.6 GHz, Cortex A53, so there is plenty of power here. As this is an Android offering like all of the Samsung handsets, you are also looking at an operating system that comes running Oreo 8.0 which of course can be updated to the latest versions when the updates become available. 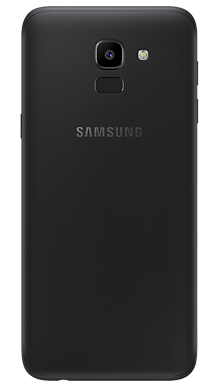 The handset offers 3GB of RAM and 32GB of storage, and in typical Samsung style, you will find a Micro-SD slot that allows you to expand the memory up to 256GB which should be plenty to serve the needs of most users. The Samsung J6 is a dual sim phone which is a neat feature and will be a serious selling point for many of you, both the SIM cards supported are Nano. The battery is a 3000mAh which offers serious amounts of juice to support the internal process and many user processes. This means that you will be able to go out and about for most of the day and have the ability to use your phone well and still have charge left to get you back to the electricity at the end of the day. Overall this is another cracking handset from the geniuses at Samsung. It has a broad appeal and offers many great features that make this the perfect handset for anyone wanting to try a Samsung handset. The fact that it has dual sim capability and the decent size camera adds to the appeal. This is a modern looking handset that has a price tag that will be suitable for many budgets. It could be the perfect first handset for a younger member of the family and work equally well for students at university that are looking to keep in touch with home; there are certainly plenty of deals on offer. At Fonehouse we are driven to find the best range of deals to ensure that our customers have choice and affordability while getting the most possible for their money. With this in mind our team has been hard at work and sourced some really fantastic options for the Samsung J6, and we are sure you will be delighted with the deals we have on offer. We partner exclusively with EE and Vodafone because we believe that they have the best in network connectivity and offer our customers a reliable service that allows them to use their handsets in the way that they want. When you add to this the vast range of network extras including free international minute and streaming of film or music, then we are confident you are in the best hands. If you are considering the Samsung J6 and have any questions about the deals on offer or any of the deals we offer here at Fonehouse then why not give our customer service team a call and they will be happy to help you with any aspect of the ordering process. They can be reached at 0333 900 1133 and are waiting for your call.